Prior to transferring to the Bar in June 2010, Stephen Wyeth practised as a solicitor for ten years following his qualification in 1999. Stephen has particular experience of high value claims involving discrimination (with emphasis on disability issues) and is highly knowledgeable in all forms of unfair dismissal including public interest disclosure claims. Stephen has appeared and succeeded in many complex lengthy multi-day high value discrimination and public interest disclosure claims. He has notable experience of TUPE claims including the ability to offer practical advice to both transferors and transferees in the lead up to business acquisitions and service provision changes, as well as being regularly involved in TUPE cases at tribunals usually involving multiple respondents. Stephen has regularly advised both senior employees and businesses with regard to the enforceability of restrictive covenants and confidentiality clauses in the context of employment contracts. Despite being of recent call, given his past experience as a solicitor, he offers an advanced level of service in all areas of employment law. Stephen was appointed as a fee paid Employment Judge in 2009 and, until 2014, was a part time lecturer in Employment Law at the University of Southampton. He has appeared as an expert on regional BBC television and radio. He frequently lectures to local solicitors on strategy and changes in the law. Stephen Wyeth is a leading junior with a specialist employment law practice. Prior to transferring to the Bar in June 2010, Stephen practised as a solicitor for ten years following his qualification in 1999. He was appointed a fee paid Employment Judge in 2009 and sits in the Watford Employment Tribunal. He has lectured part time in Employment Law at the University of Southampton (as well as tutoring public and constitutional law for five years). Stephen has particular experience of high-value claims involving discrimination (with emphasis on disability and maternity issues) and is highly knowledgeable in all forms of unfair dismissal including public interest disclosure claims. He frequently appears in lengthy multi-day trials. 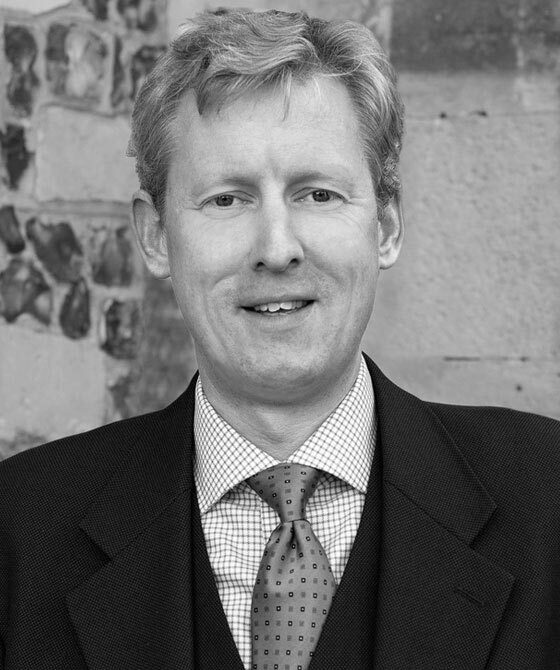 He has notable experience of TUPE claims including the ability to offer practical advice to both transferors and transferees in the lead up to business acquisitions and service provision changes, as well as being regularly involved in TUPE cases at tribunals, usually involving multiple respondents. Stephen is described as having an approachable manner and his professional clients value his strategic handling of cases. Stephen has regularly advised both senior employees and businesses with regard to the enforceability of restrictive covenants and confidentiality clauses in the context of employment contracts. He has developed a reputation for being a fearless litigator, delivering practical solutions and first class results for both employer and employee clients. Stephen has acted on behalf of a number of large organisations such as the British Dental Association and Thames Water. His recent successes in the Employment Appeal Tribunal include the reported cases of Esparon t/a Middle West Care Homes v Slavikovska, in which he successfully acted for Ms Slavikovska both at first instance and on appeal and Schwarzenbach t/a Thames-side Court Estate v Jones in which he successfully acted for Mr Jones both at first instance and on appeal. As a result of the Slavikovska decision most care workers must now be paid the national minimum wage for “sleep-in” shifts undertaken in care homes. He is well known locally for leading informative workshops and seminars for solicitors and businesses and has appeared as an expert on regional BBC television and Radio. He has lectured for the Solent Region of the Employment Lawyers Association. Stephen has also been a senior adviser to a New Zealand Government Minister during an overseas sabbatical. Within the community Stephen is a Community Governor of his local primary school. The recent decision of the EAT in Schwarzenbach and Anor v Jones UKEAT/0100/15/DM involved a dispute over the question of whether two employers were "associated" for the purposes of s231 of the Employment Rights Act 1996, giving Mr Jones sufficient continuity of service to bring a complaint of unfair dismissal. Stephen Wyeth successfully acted for the claimant both at first instance and in resisting the appeal by Mr and Mrs Schwarzenbach in this reported case. Experienced in high-value discrimination cases and has had notable recent success in complex multi-day discrimination claims with an emphasis on disability issues, acting for both claimants and respondents. He is also highly regarded for his knowledge of the enforceability of restrictive covenants and confidentiality clauses. He has significant experience in TUPE claims, and is able to handle cases involving multiple respondents. "He is incredibly well prepared and grasps the finer technical legal points, and uses his experience as an employment judge to his client's benefit. "Recent work: Acted for Royal Devon and Exeter NHS Trust in a case that involved defending 35 individual allegations of disability discrimination over a ten-year period. 'Handles high-value or multi-day unfair dismissal and discrimination cases. He also tackles TUPE and restrictive covenant cases for both employers and senior employees. 'Former solicitor and part-time employment judge, with strong experience of high-value discrimination claims. He also has noteworthy expertise in TUPE claims, particularly cases involving multiple respondents. 'Stephen Wyeth has established a strong employment practice, concentrated on high-value discrimination claims. He has significant experience in TUPE matters and is also a part-time Employment Judge. "At 3PB, Stephen Wyeths ‘advocacy performance belies his year of call’." Stephen Wyeth is qualified to accept instructions directly from members of the public and professional clients under the Direct Public Access scheme.